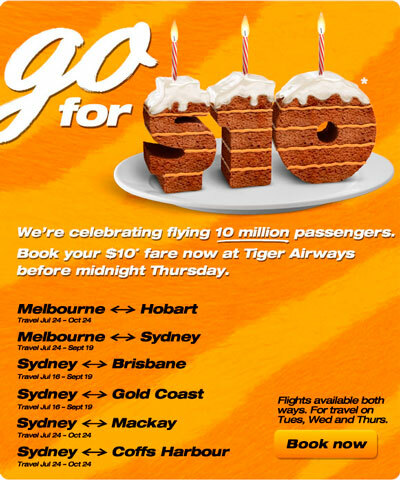 * ‘Raw’ domestic fares are the lowest available single price fares from TigerAirways Australia for one-way travel with hand luggage and are fully inclusive of all taxes and charges. ‘Raw’ domestic fares must be purchased online using a MasterCard debit card issued by an Australian financial institution. The ‘Raw’ domestic fare does not incur the AUD8.50 convenience fee or AUD9.00 for international credit card purchases (per flight, per sector. Click here for details. This entry was posted in Travel/Airfare promo and tagged airfare promo, tiger airways, travel deal on February 20, 2013 by Yami.